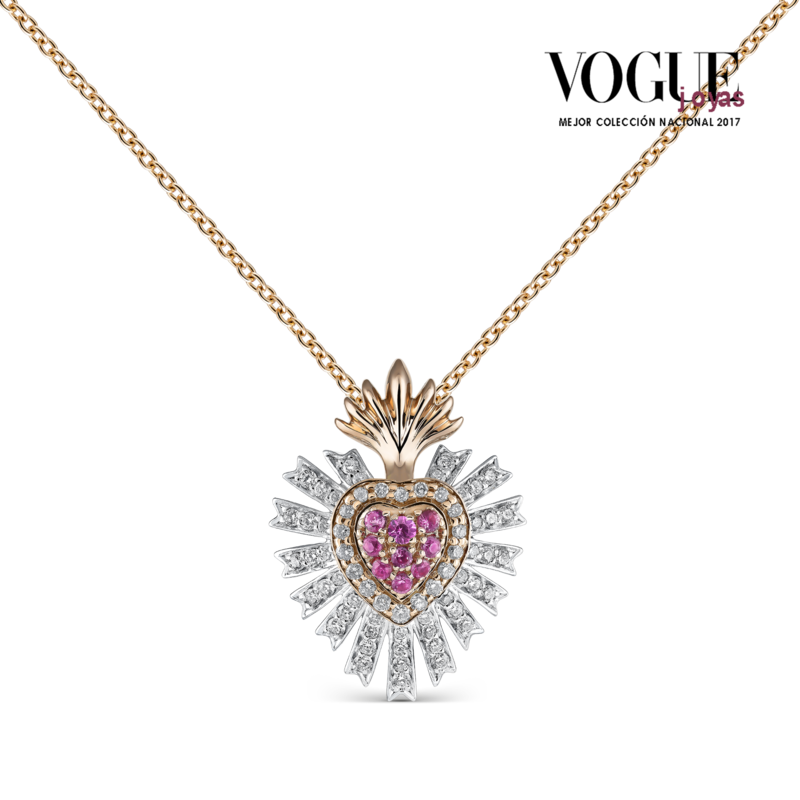 18 karat rose gold pendant with Rose pavé sapphires in the shape of a heart and brilliant-cut champagne diamonds. The arrows are made of white gold with brilliant-cut white diamonds. The crown is made in rose gold. Sketches of the FRIDA collection, produced by hand by the Suarez design team and showing the creative phase prior to the manufacturing process. Graphic map made during the manufacturing process to detail the arrangement of the gems on the jewels. Images of the work being carried out in our workshops during the manufacturing process of the jewellery in the FRIDA collection.